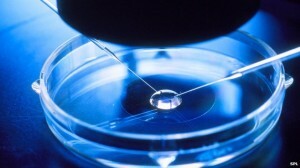 Have you reviewed your fertility clinic? If you’ve had fertility treatment recently or are currently having treatment at a UK clinic, did you know that you can give a review of your clinic’s services on the HFEA website? Your reviews are used to create a patient rating for the clinic which other people can then see on the website along with the outcomes from treatment there and a ranking from the HFEA inspectors. How likely are you to recommend this clinic to friends and family if they needed similar care or treatment? To what extent did you feel you understood everything that was happening throughout your treatment? To what extent did you feel you were treated with privacy and dignity? What was the level of empathy and understanding shown towards you by the clinic team? You will also be asked about cost for those who had to pay for treatment and you will be able to say whether it was more, less or about the same as you’d been anticipating. Finally, you are able to add any further comments about your experiences which will be seen by the regulator but will not appear on the website. Choosing a fertility clinic is not easy, particularly if you live in London and the South East where there are so many clinics to choose from, and the views of other people who’ve been to a clinic can be useful. This entry was posted in Fertility clinics, Fertility treatment and tagged Choose a Fertility Clinic, fertility clinic, HFEA, ICSI, infertility, IVF, patient ratings for fertility clinics, patient reviews of fertility clinics by fertilitymatters. Bookmark the permalink.